Facebook carved out the chat functionality from its main app and transferred it exclusively to its Messenger app. 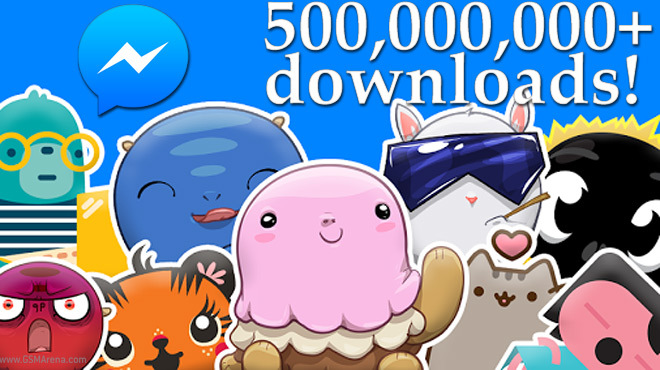 Messenger is getting pummeled with 1-star reviews but that hasn’t stopped it from growing and it is now on over 500 million Android devices. Only two other non-Google apps (so not Android defaults) have managed this – the main Facebook app and the Facebook-owned WhatsApp. Anyway, Facebook is the most popular smartphone app in the US (counting iOS installs too), but Messenger alone was more popular than Twitter and Google+. Facebook is looking for ways to monetize Messenger though the exact course is not known yet (having the former PayPal president on board is a big tell though). The Apple App Store doesn’t provide download numbers but the app is catching a lot of 1-stars as well. Thanks to shiven for sending this in!